OAK RIDGE, Tenn., June 7, 2016—An elusive massless particle could exist in a magnetic crystal structure, revealed by neutron and X-ray research from a team of scientists led by the Department of Energy’s Oak Ridge National Laboratory and the University of Tennessee. In a paper published in Nature Communications, the research team studied a material containing the dense element osmium and documented two conditions required for the presence of Weyl fermions – massless particles predicted in 1929 and observed experimentally for the first time in 2015. Researchers are looking for other materials that could host the particles, with the goal of harnessing their unique properties in spintronics and advanced computing applications such as quantum computers. 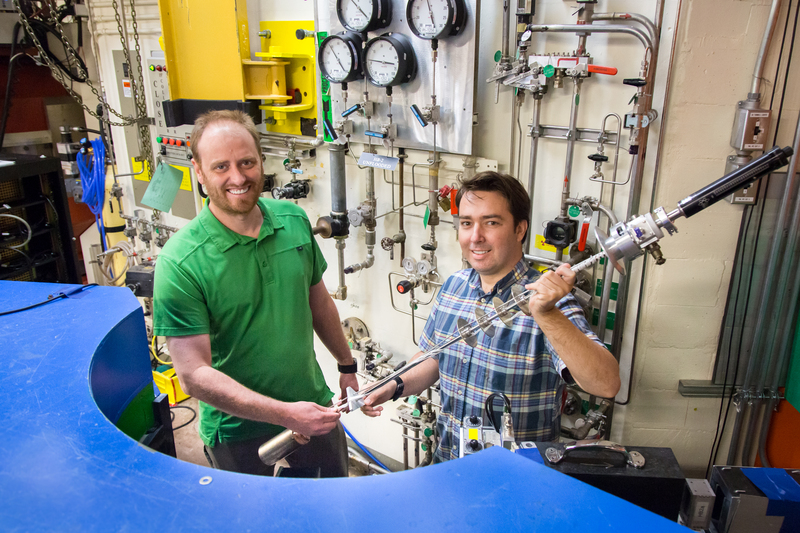 The scientists conducted neutron diffraction studies at the High Flux Isotope Reactor, a DOE Office of Science User Facility at ORNL, to clearly define the magnetic order of an osmium-based material with a pyrochlore crystalline structure. They discovered it has an “all-in, all-out” magnetic order—one of two requirements for this type of material to contain Weyl fermions. The second criterion is strong spin-orbit coupling, a property of all atoms that describes how an electron’s spin and its motion around an atom are linked. Generally, larger atoms with more electrons exhibit a stronger spin-orbit effect. But the osmium in this material, even though it is a heavy and dense element, has an electron configuration thought to remove spin-orbit effects. 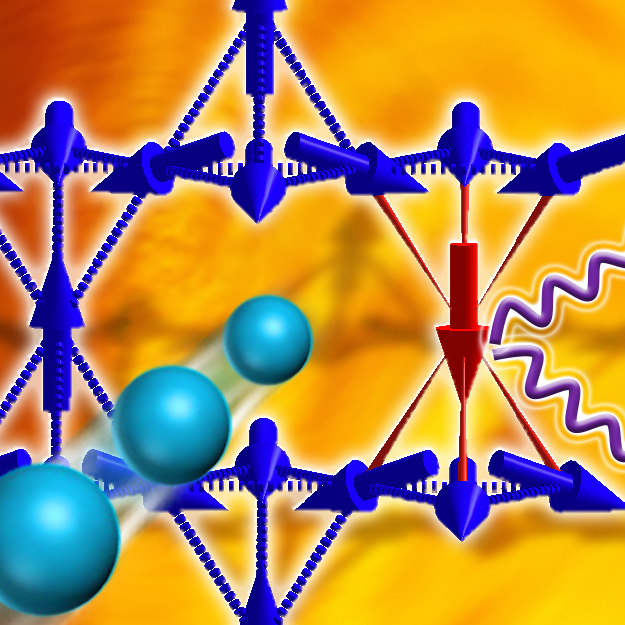 The researchers uncovered evidence of strong spin-orbit coupling in the osmate pyrochlore material using X-ray analysis at the Advanced Photon Source, a DOE Office of Science User Facility at Argonne National Laboratory. Calder cautions that the team’s research is not direct evidence of Weyl fermions in an osmate material, but it does suggest the material is a potential host. The study is published as “Spin-orbit driven magnetic structure and excitation in the 5d pyrochlore Cd2Os2O7.” Coauthors are S. Calder, J. G. Vale, N. A. Bogdanov, X. Liu, C. Donnerer, M. H. Upton, D. Casa, A. H. Said, M. D. Lumsden, Z. Zhao, J.-Q. Yan, D. Mandrus, S. Nishimoto, J. van den Brink, J. P. Hill, D. F. McMorrow, and A. D. Christianson, with contributions from University College London, IFW Dresden, Brookhaven National Laboratory, Chinese Academy of Sciences, Argonne National Laboratory, Technische Universität Dresden, and University of Tennessee, Knoxville.